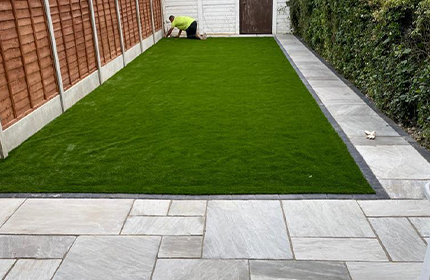 We are a specialist driveway and landscaping contractors dedicated to producing beautifully crafted and carefully executed work to individual clients’ specifications. 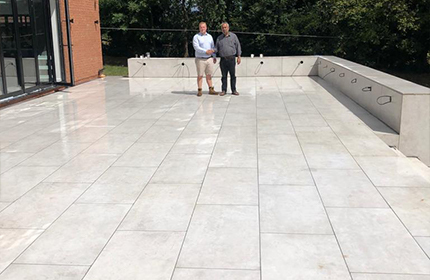 Based in Rickmansworth we install beautiful driveways and patios in Rickmansworth, Moor Park, Croxley Green, Chorleywood and surrounding areas. 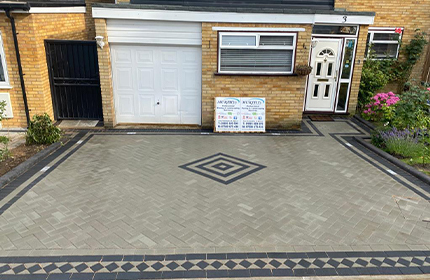 Borders and colour contrasts are our specialty, your choice of designs include contemporary, smooth cobble finish, square and/or rectangular bricks, granite sets, modern interlocking, over eight colours for block paving, kerb and edging options, concentric circles kits & steps. 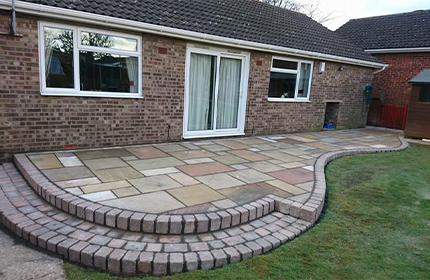 If your block paving should become damaged or spoilt we can restore it to it's former glory. We provide a pressure washing, re-sanding and sealing service that is second to none and can give realistic predictions as to the final outcome before we undertake any works.